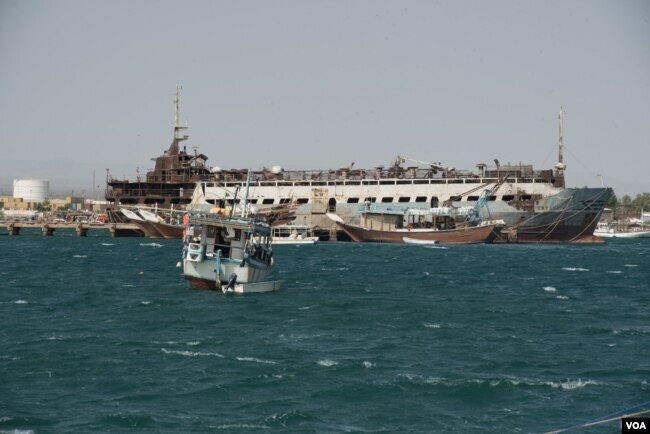 Few details about the UAE’s request have been released other than that it wants a naval presence in Berbera’s port and an air force presence at its airport, which was originally built by the Soviet Union in the 1970s. The UAE already has a similar arrangement with Eritrea that allows its military to use the port and airport at Assab, 375 km to the northwest of Berbera, which it is using to support its military intervention in Yemen. MOGADISHU // Somaliland, the breakaway northern region of Somalia, on Sunday approved the establishment of a UAE naval base on the coast of the Gulf of Aden. 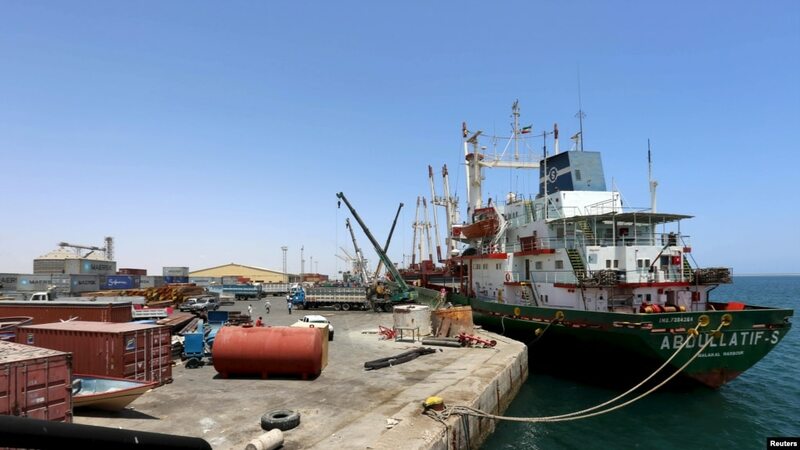 The UAE submitted a formal application last month for permission from the Somaliland government to open the base in the port of Berbera, about 250 kilometres south across the Gulf from Aden in Yemen. Somaliland parliament’s voted overwhelmingly in favour of the base, which president Ahmed Silanyo said would benefit the territory and help create jobs. 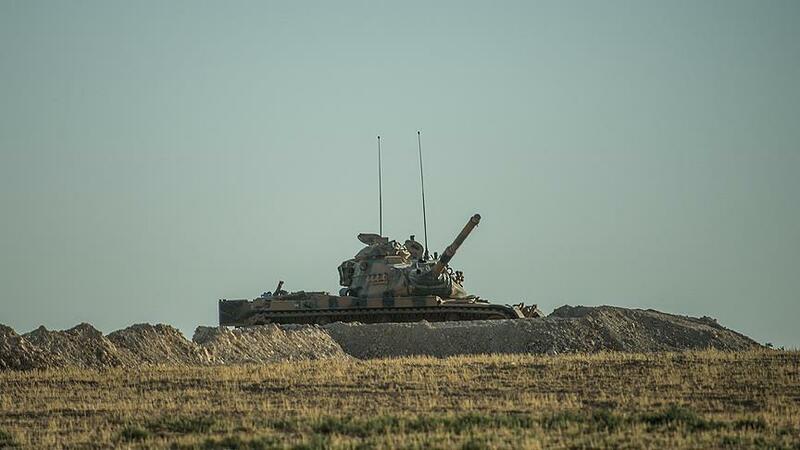 However, the plan has been opposed by the neighbouring countries of Ethiopia and Djibouti, according to local reports. In Sunday’s vote 144 legislators supported the military base, two voted against and two abstained. Nine others opposed to the base shouted against Mr Silanyo and were led out of the chamber by soldiers. The plan for the military base follows a multimillion dollar, 30-year contract for the UAE ports operator DP World to manage Berbera port, Somaliland’s largest. The former British protectorate declared independence from the rest of Somalia in 1991 and has succeeded in establishing peace and stability. But no country has so far recognised it as an independent state. HARGEISA – The United Arab Emirates is seeking a formal permission from the government of the breakaway northern Somalia republic of Somaliland to establish a military base in the region, reflecting its growing ambition to assert itself in the horn of Africa region. Having failed to win over Turkey, a long time strategic rival in Somalia, the UAE government had long sought an alternative base, picking Somaliland as its key base. UAE had also signed a 30-year contract with Somaliland to manage its largest port, Berbera. Berbera’s management by UAE is also parts of retaliatory measures against Djibouti which annulled the Dubai-based ports operator DP World’s terminal contract followed by arbitration proceedings by the Djiboutian government over alleged corruption by the company. “It’s true that the UAE has submitted a formal request seeking for a permission to open a military base in Somaliland.” said Sa’ad Ali Shire, Somaliland’s foreign minister told reporters in Hargeisa, Somaliland’s capital Wednesday. The move would likely enrage Ethiopia, a major ally for Somaliland which is the only country that opened an embassy in Somaliland. Other countries that have relations with Somaliland have merely maintained consular missions in the enclave. Ethiopia also assists Somaliland in maintaining security in Somaliland, a region often considering an oasis of peace in the volatile region. “We don’t want to lose relations with both our partners Ethiopia and UAE, thus this is a worrying development and the issue of granting permission for the military base will be decided by both the president and the parliament.” He said. Meanwhile, economists warned that Somaliland’s close relations with UAE would hurt its relations with neighboring countries including Ethiopia and Djibouti that maintained warm relations with the breakaway republic before it moved to establish economic relations with the United Arab Emirates. According to officials, Djibouti’s government has repeatedly warned Somaliland leaders over their decisions to embrace UAE as a closer ally, by allowing UAE to maximize its strategic interests in the untapped horn of Africa market. The parliament of Somalia’s breakaway northern region of Somaliland approved an agreement between Somaliland and the United Arab Emirates (UAE) allowing the Emirati government to establish a military base in the port town of Berbera on Sunday. In Sunday’s vote, 144 Somaliland lawmakers voted in favor of the military base and two voted against. Two others abstained. Nine lawmakers opposed to the base shouted words against Somaliland President Ahmed Mohamed Silanyo and were taken out of the chamber by Somaliland soldiers. The vote will allow the Somaliland administration to complete negotiations with the UAE to build its first military base in Africa. The agreement was signed by Somaliland and the UAE in 2015 and it is a 30 years deal. Speaking at the parliament on Sunday, Somaliland President Ahmed Silanyo said that the military base would benefit the people of Somaliland and create jobs. According to the local media, Somaliland’s neighboring countries Ethiopia and Djibouti opposed the deal. Somaliland is a former British protectorate and declared its own independence from the rest of Somalia in 1991. Somaliland has not been recognized by any country in the world to date. The United Arab Emirates is going to set up a second military base in the Horn of Africa, sparking concern among some governments in the region. The Somaliland parliament approved the deal for the northern port of Berbera on Sunday, with 144 lawmakers voting for, two against and two abstentions. Under the 30-year deal, the Emirati government will have exclusive rights to Somaliland’s largest port and manage and oversee operational activities. DP World, the UAE’s ports operator company, will supervise the port, which will gain a naval base as well as an air base. The lease of the port is contingent on the $442 million deal with DP World. In return, Somaliland will get investment as well as international recognition: no other country has yet recognised the breakaway territory – which separated itself from the rest of Somalia in 1993 – as an “independent state”. The Emirati port operator will manage the operational activities, but there’s no official word on the time it will take for the military base to become fully operational. UAE’s military is considered a formidable force in Africa, particularly after the establishment of its military base at Assab in Eritrea in 2015. The Eritrean base has been used by the UAE in the Yemen war against the Houthis. It is not known whether the facility at Berbera will have a similar purpose. Abu Dhabi is reaching out to countries in and around the Horn of Africa, as it looks to increase its non-oil revenue through other avenues including real estate, trade and financial services. It is significant because the UAE will be engaging in trade across the port, and for this, it would require a sustainable road network across Berbera. Hence, as the minister said, it will create opportunities for the local people on infrastructure development. But the Somaliland deal has angered Ethiopia, one of the regional powers in the Horn of Africa, which itself has economic ties with the UAE. As recently as last year, the UAE and Ethiopia signed several investment deals, under the terms of which the UAE is legally bound to protect the economic interests of Ethiopia. Last January, Ethiopia’s prime minister rebuked the UAE government for having established the base in Eritrea. There is still tension between the two east African nations after they fought a war from May 1998 to June 2000. FILE – A ship docks at the port in Berbera, Somaliland, May 17, 2015. WASHINGTON — The parliament of the break-away republic of Somaliland has overwhelming approved a deal to allow the United Arab Emirates to establish an air and naval base in the port town of Berbera. A number of lawmakers angrily opposed the motion and shouted against the president before they were removed form parliament. The motion then passed with the support of 144 out of 151 lawmakers. If signed, the deal gives the UAE a strong military foothold in the Horn of Africa. The UAE had already secured a military base in the port of Assab in Eritrea. Observers say UAE plans to have a long-term military bases to monitor naval traffics in the Horn of Africa and the Red Sea. “The base is on a lease, it can’t be used any other nation except the UAE and can’t be sub-leased,” the minister said. In return the UAE has agreed to implement in Somaliland various development projects, including modernizing highways. The deal follows a $442-million agreement with a Dubai-based Company (DP World) to upgrade the port of Berbera. The deal signed in September will transform Berbera port into a major Red Sea shipping stop. The UAE government is among various countries assisting Somalia’s regional administrations in their fight against al-Shabab militants. Somaliland declared its independence from the rest of Somalia in 1991, but no country has so far recognized its independence bid. MOGADISHU, Somalia — Somalia’s breakaway northern territory of Somaliland is asking the United States for an exemption to President Donald Trump’s executive order on travelers from seven predominantly Muslim nations. Somalia is one of the affected countries, but Somaliland considers itself an independent state after breaking away in 1991. It continues to seek international recognition for its claim. A statement by Somaliland’s foreign affairs minister, Saad Ali Shire, says the republic wrote a letter Monday to Secretary of State Rex Tillerson and Homeland Security Secretary John Kelly requesting the exemption to the travel ban. The statement says Somaliland argued it “has not experienced the emergence of terrorist organizations,” in contrast to Somalia, where homegrown extremist group al-Shabab continues to carry out deadly attacks.